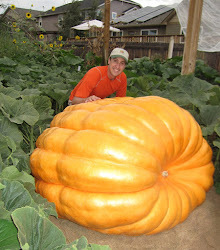 As we prepare to move to the new house, I'm going to offer a 25% off discount code on all fertilizers at http://seeds.giantpumpkinman.com/fertilizers. This means an extra 25% off the already lowest prices you'll find on the internet. Just enter the discount code of 'moving' during checkout to take advantage of this great deal. This offer will end on July 12th, so stock up now. Limited quantities of some items are available, so you'll not want to wait. Place you order today!